With history dating back to the 12th century and beyond, Scotland’s capital city is a rich melting pot of world-renowned culture, study and business. 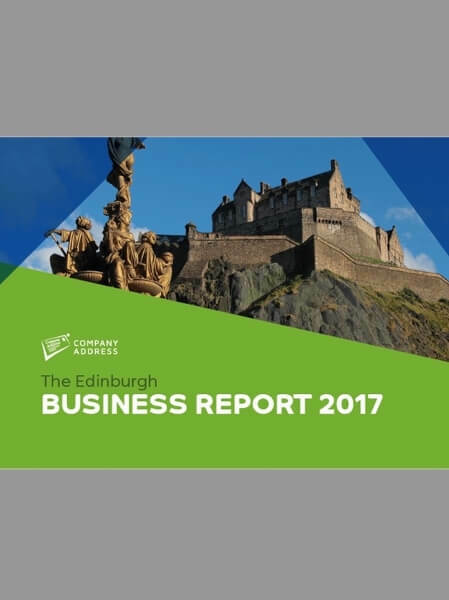 In recent years, Edinburgh’s business community has thrived and in the 3rd quarter of 2016 alone, a further 1,557 businesses were incorporated here. As a provider of business address services, we at Company Address have seen an increase in the number of companies investing in an Edinburgh address for their business. The prestige of being based in the city - which is well known for its hugely successful startups including Skyscanner and established companies like McVitie’s and Tesco Bank - gives startups the leg up they need in an increasingly competitive marketplace. That’s why we’ve put together the Edinburgh Business Report. Here, we’ll showcase all the makes the city great for business start ups, from the existing business community to the local government support and the thousands of Edinburgh students looking for their next career step each year. Find out how your business can benefit from a prestigious Edinburgh business address here.